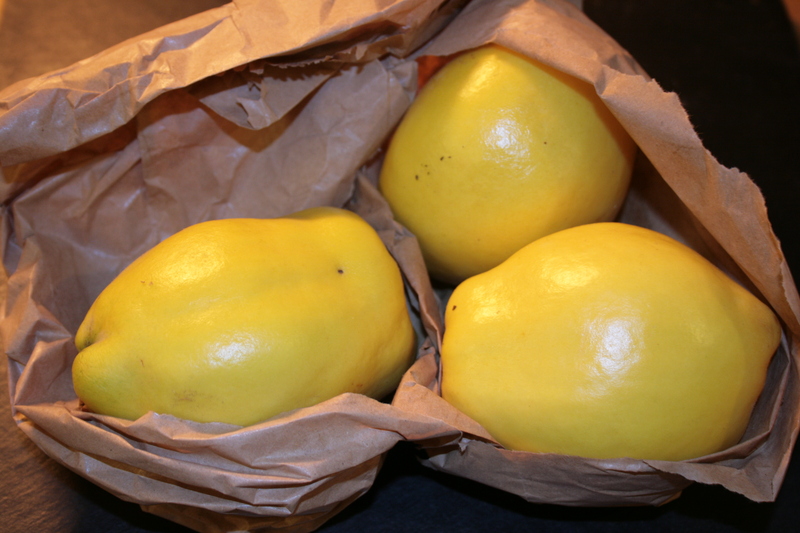 >Potimarron – a squash party piece! 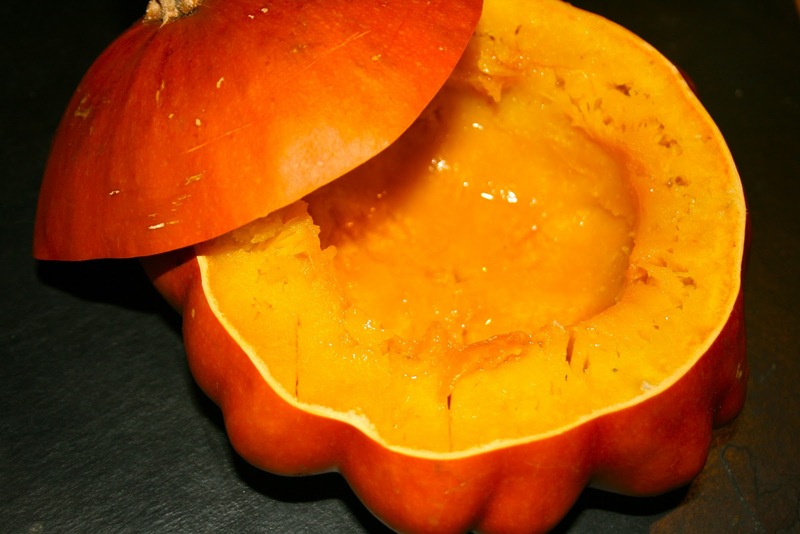 Take any squash or pumpkin : they are still in season and come in all sorts of beautiful shapes and colours – the one above is called “potimarron” in French and has pretty scalloped edges! Put it in whole in a hot oven for at least 35 or 45 min. depending on its size. When a knife can easily be inserted and the skin has taken a deep orange colour, remove from the oven. Carefully cut the top off with a sharp knife as if it was a serving dish with a lid: sprinkle a bit of sea salt and a dash of olive oil on the flesh and serve warm immediately. It is as stunning a dish as it is delicious and the flesh will scoop out easily, impressing everybody! 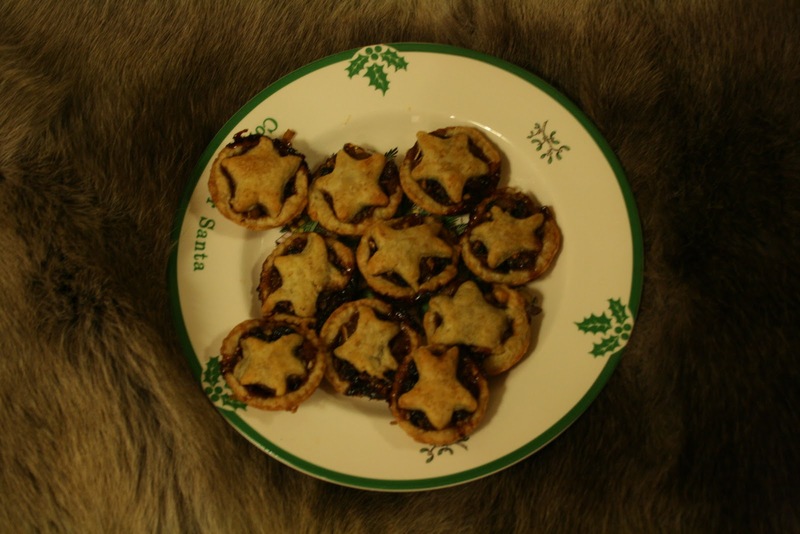 For us, there is no Christmas without mince pies! I am making mine now so they are out of the way and ready for when the French cousins arrive: they do keep very well for a few weeks plus they are handy to have if any guest drops in before Christmas ! Mix all the ingredients together in a plastic container and leave at room temperature for a few days. All the spices and fruit flavour need to mingle and blossom. Prepare some puff pastry or short-crust one – enough for about 12 small pies and their star shaped lids. I make my own short-crust with almond powder and goose fat – on top of the usual ingredients and it is extra crumbly. Cut circles and stars with cut-out shapes and place them in a mince pie or muffin tray. Carefully fill each disk with a small spoonful of mince, put the star on top and brush with an egg yolk. Put in the oven for 30 min. at 170° : Serve warm with brandy butter. This recipe was inspired by one from Ottolenghi – but I’ve replaced his suet with goose fat because it is healthier and more appropriate for the season!